This is a rectangular Gevaert Cine & Photo porcelain sign. This particular Gevaert Cine & Photo sign is very colorful. 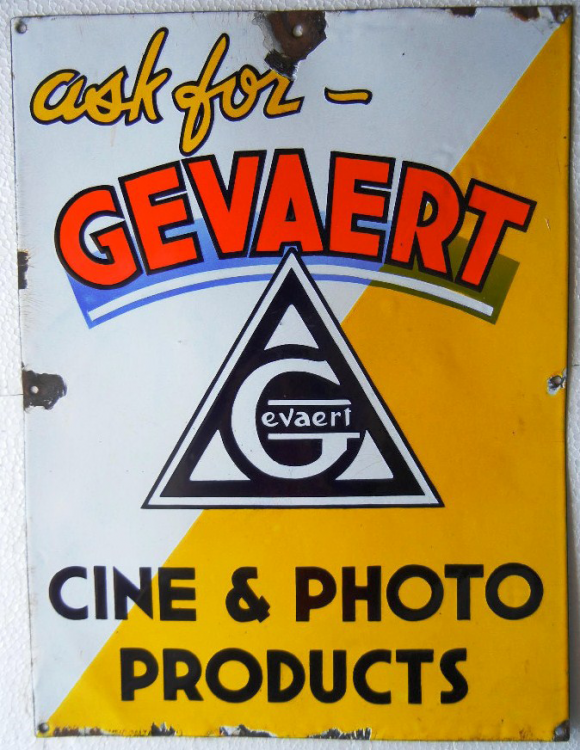 It reads, “Ask For Gevaert Cine & Photo Products” and features a black triangle in the center with a yellow and white background.